It’s the beginning of the year and with a few review classes on the horizon, I have been thinking about review activities. This is why I have come back to Jeopardy. I know there are countless posts about using Jeopardy in the classroom, and I even wrote about Jeopardy last year when I introduced a PowerPoint template for the game. But this year, I was working on an Excel version of the game. When I colleague gave me some feedback about the board that I produced, it started me off thinking about the different ways that Jeopardy can be played in the classroom, so much so that I wanted to write about them. 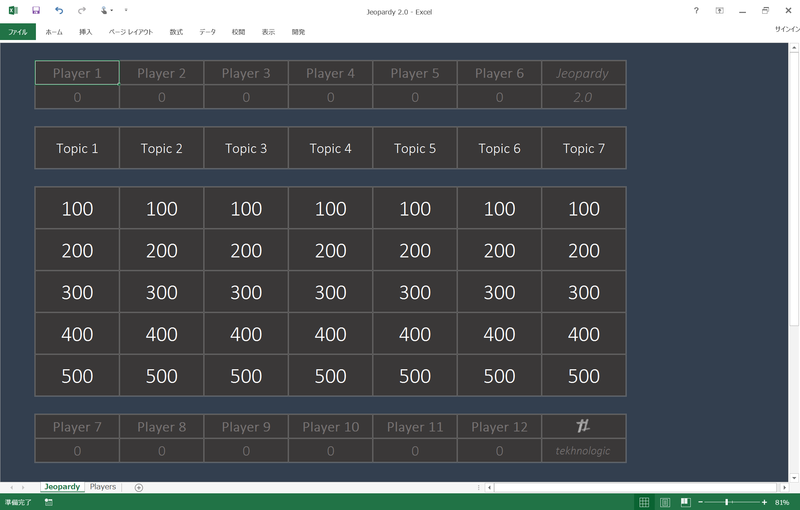 If you prefer using technology in class, there is an Excel and PowerPoint version of Jeopardy. 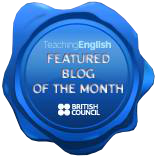 If you prefer using a technology lite approach, you may want to read about playing Jeopardy on a whiteboard or with a handout. This is quite a long post, so please use the contents to jump ahead to the sections that you are interested in reading. Jeopardy is a popular American quiz show game. The general idea of the show is that the players choose a topic and then a square with a dollar value or points assigned to it. They are then shown the answers and they have to respond with the question to win them. After a few different rounds, the player with the most points at the end of the game is the winner. You don’t have to stick to this format though. You could still ask questions as you would with any other quiz and give points to the players who answer them correctly. You may even prefer a mix of different questions. Give the answer and the players respond with the question. Ask the question and the players respond with the answer. Ask the question and give the players a choice of answers (multiple choice). The players respond by guessing the correct answer. Give the players part of a sentence and ask them to finish the sentence. Give the players two or three words and ask them to make a sentence that uses them. Show the players an image and they have to guess what it is. Show the players an image and they have to describe it. Ask the players to do a challenge or complete a task. The questions you decide to ask won’t really affect the game board or how to play the game. So let’s take a look at the different ways to play Jeopardy. This year, I decided to try and make a Jeopardy board in Excel. The idea was simple. I would have six players and each player would have a color assigned to them. If a player won a square, I could turn the square to their color and the points would automatically be added to their score. I actually made this version a while ago and I showed it to a colleague who suggested that it may be better if you could choose your number of players. What if you had less than six players? What if you had more? So, I started thinking if it was possible to select the number of players, and it was. Within a few minutes I knew exactly how to adapt the template. Unfortunately, If I can think of a way to do something, then I find it quite hard to sit back and relax until it’s done. This is what I produced. Jeopardy 2.0 – Redesigned in Excel. Click on the image to download the template. Click on Jeopardy 2.0 to download the template. When you open the template, you will probably see a blank board like this one. In the bottom left-hand corner of the screen you will see a tab that says Players. Click on that tab to go to the players screen. Adding players. Click on the image to see the full-size version. All the boxes will appear grey. At the top of the screen it says Number of Players and there is a blank cell next to it. Click on the blank cell and you will see a small arrow. Click on the arrow and a list of numbers from 1 – 12 appears. Choose the number of players / teams that are going to play the game. 12 is a maximum amount of players / teams that can play. With a large class of 50 students you may have 10 teams of 5 and in a small class of 12 students you may have 12 players, six teams of two, or four teams or three. In my example, I chose 5 teams. As a result, the colors of the first five teams appear. I can now type in the player or team name next to the player number. When we go back to the Jeopardy board, the team names appear in the scoreboard rather than Player 1, Player 2 etc. Playing the game. Click on the image to see the full-sized version. Before the game you will need to have prepared your questions. Alternatively you could ask your students to prepare questions. I usually model the game with my own questions though before I transfer the game to the students and ask them to prepare their own questions (Playing Jeopardy with a handout). Typically with 100 points being easier questions and 500 points being more difficult or at least challenging questions. I would like transport for 100, please. Choose a player/team at random and ask them to choose the first question. I would like sport for 500, please. Ask the question to the class. The question is open so any player/team can choose to answer. How the students buzz in is entirely up to you. The students could raise their hands, make buzzer noises or a mixture of both. If the player/team answers correctly, click on that cell and choose their team color from the list. The cell color will change and they will be awarded points. If the player/team answers incorrectly, leave the question open until one of the teams guess the answer correctly. If no one is able to answer the question, offer simple hints until a team can guess. The player/team that guesses correctly gets to choose the next question. The player/team with the highest score after all the questions have been asked or you have reached the end of the time limit is the winner. This is the version of Jeopardy that I made last year, but it is very similar to a version that I have used for the last few years. Jeopardy 1.0 Menu Board – Click on the image to see the full-size version. The advantage of playing Jeopardy with PowerPoint is that it is extremely easy to show the students a variety of questions on the screen. It is a very visual game and very easy to understand. As you can see, each topic has its own color. This makes it extremely easy for students to select a category. 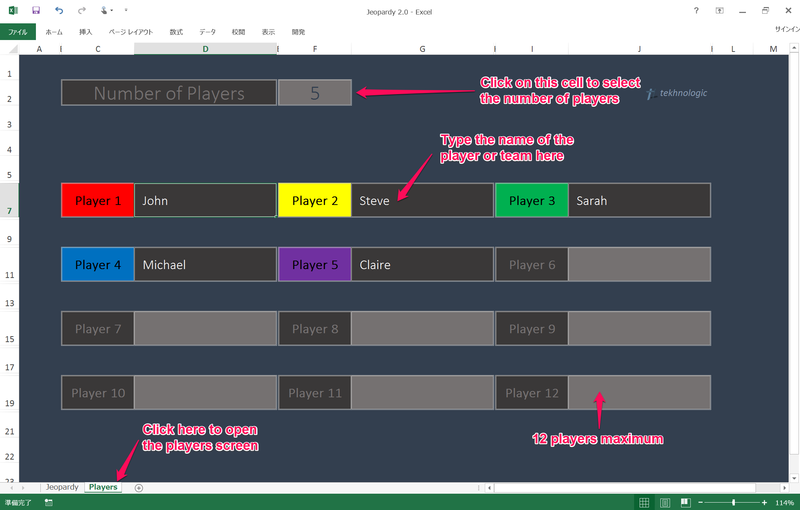 This is very different from the Excel template, because it was the players who had their own color. Click on Jeopardy 1.0 to download the template. When you open the file you will see that the Jeopardy board is the first slide. The only thing you need to do on this slide is to add the topics. Double click on the text that says topic 1 and change it to a topic that you have studied in class. It may be someone like health or transport. When the presentation is running, you can go to a question just by clicking on a square from the board. Before you play the game though, you will need to prepare your questions. The question slides match the color of the topic. Write your question in the top box and write your answer in the grey box below. When you play the game and click on a red square to go to a red question. Click on the question box to reveal the answer. Click on the answer to return to the menu. 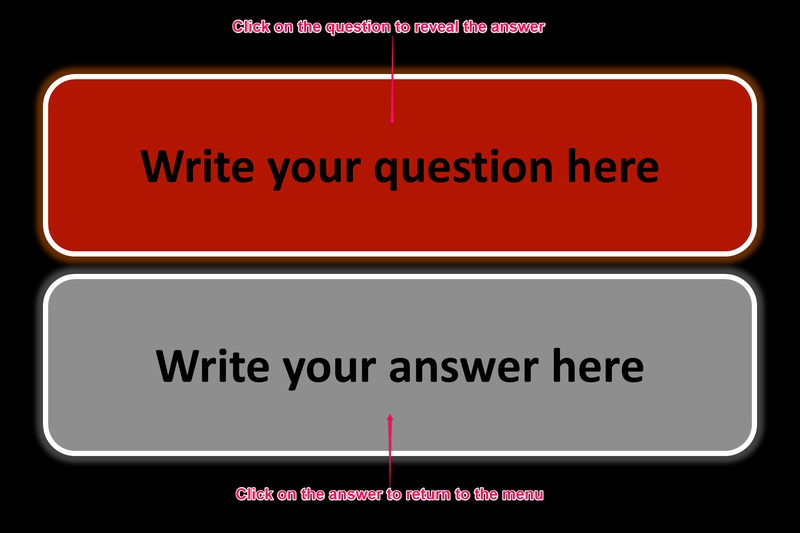 Although the boxes say question first and answer second, the format of the game is up to you. Read the introduction for some ideas about question types. The PowerPoint version and the Excel version are played in very similar ways. They only really differ in how the questions are presented and how the score is kept. I would like transport for 4, please. The second example may be easier but ideally we want to encourage as much production as possible. I would like sport for 2, please. If the player/team answers correctly, award them points. Keep track of points on a piece of paper or on the black/white board. No computer? No projector? No problem. Just draw your grid on the black/white board. 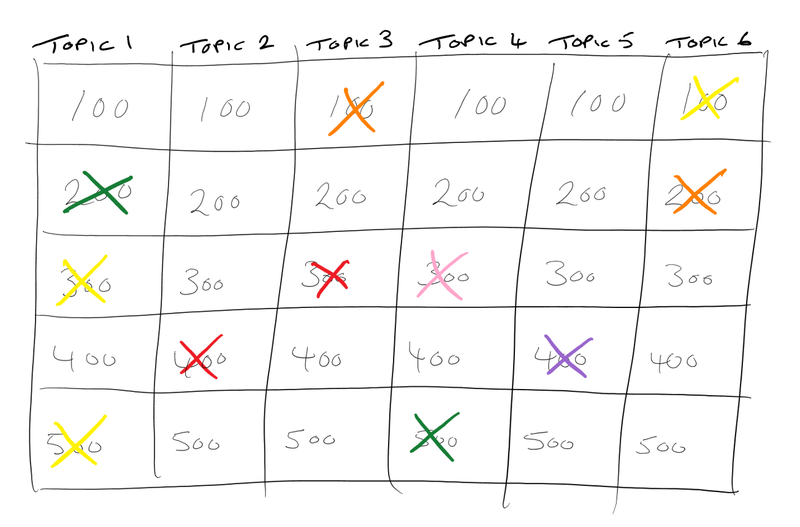 A grid of 6 x 5 can cover six topics, with five questions for each topic. The questions range from 100 points to 500 points. The higher the points, the higher the difficulty of the question. It can take some time to draw out the grid on the board, so try drawing it during the previous activity or task. This will prevent any student down time and keep them involved in the lesson rather than drifting off and chatting in their L1. When your students are ready, introduce the game to them and divide them into teams if necessary. Ask each of the players/teams to think of a player/team name. If you have different color markers or chalk, give one to each group. If you don’t, you can just use the team name or the team name’s initials. There is no difference between playing this version and using a digital version. I would like music for 100, please. Tip: Leave some space on your board so you still have room to write any useful language or stems. You may also want some room to write down the team names, but this can also be done on a piece of paper. I would like movies for 300, please. If the player/team answers correctly, award them points and cross out the square on the board using the teams color. A useful tip is to write the player/team’s name in their chosen color. Tip: Be aware that color has meaning. For example, in China, writing a name in red pen signifies death because obituaries are written in red ink. Alternatively, you can ask the students to cross off their own squares. This way there is no risk of getting team colors mixed up. Keep track of points in the space you left for team names on the board, or on a piece of scrap paper. Jeopardy tends to be a very teacher-centered game. The Jeopardy board tends to be at the front of the class and the teacher acts as the host of the game while the students act as the contestants. You may want the students to take on the host role. You may want the students working in small groups with several Jeopardy games happening at the same time. In this case, a handout may be the best way to play Jeopardy. Tip: Playing Jeopardy with the board at the front of the class is a good way to model the game before transferring the game to the students by giving them a handout like this one. Click on Jeopardy to download the template. You can use this template in a number of ways. You can model the activity with one of the previous Jeopardy games, or by printing out a copy of this handout and writing your questions on it before showing it to your class on the OHP. But we why not let the students write their own questions. Divide the students into small groups. Groups of 4-6 are okay. Ask the students to think of 3 topics. Elicit these topics and write them on the board so that all groups have the same topic. Note: You can ask each group to come up with their own topics, so that each Jeopardy game is different. You may find that it takes longer for the students to make their questions though, and students will be unable to peer check or share their questions between groups. When you have the topics written on the board. Divide the students into pairs or 3s. Assign each pair/group of 3 a topic. Tell them to think of five questions connected to that topic and to write them down. Tip: Set a time limit and encourage the students to use their course books. When the students have finished. Ask them to find another pair/group of 3 and share their questions. The other group write down the questions to their topic, and they write down the questions from the other group’s topic. Repeat until the students have filled their boards. When they return back to their groups they will have two Jeopardy boards. The students choose one. Turn the other one over, or hide it beneath the other board. The students nominate a host/MC, so that each group has one host and the other students are contestants. Invite the hosts from the other groups to watch one group as you guide them through the activity. I would like time for 100, please. Tip: Either give the hosts a piece of scrap paper to write down the players’ names and keep score, or ask them to do that on the sides on the handout. However, there isn’t much space. The host/MC chooses a player/team at random and asks them to choose the first question. I would like daily routines for 300, please. The student who is the host asks the question to their group. The question is open so any player can choose to answer. 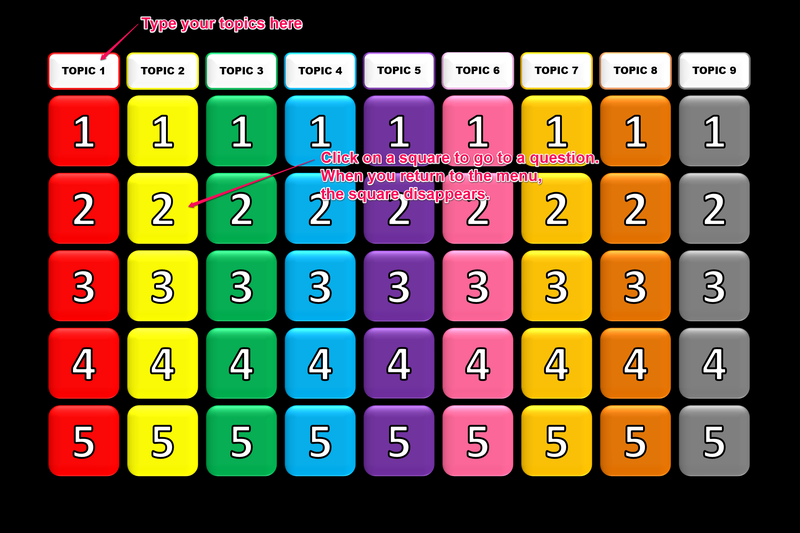 If the player answers correctly, the host crosses out the square on the board and awards the player points. If the player answers incorrectly, the host/MC can let other students answer the question. If no one is able to answer the question, the host can offer simple hints until a team can guess. Or the host can cross out the square so that no one earns the points. Decide what you think is better for your class. The player that guesses correctly gets to choose the next question. Once you have finished modelling the game. Send the hosts/MCs back to their groups and the students start playing. If a group finishes early, they can use the other board they prepare. 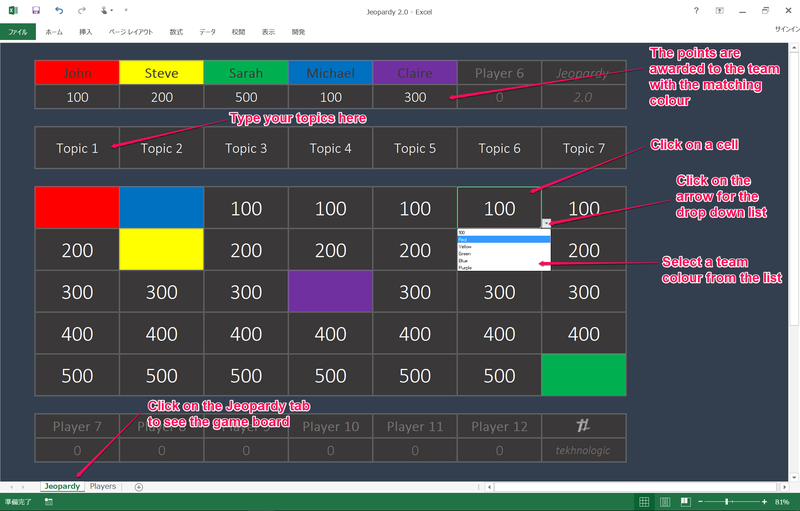 Alternative: Rotate boards around the groups, so that students don’t play with their own Jeopardy boards. Most teachers have a collection of things that they can use at the last minute if they need to. Mine includes both playing cards and Uno cards. It’s possible to do the same activity with playing cards. 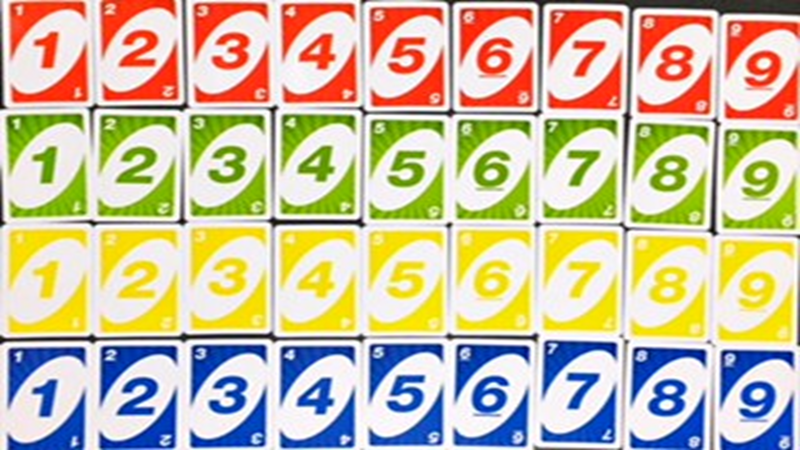 I have used Uno cards because they are very bright and easy to read with large numbers. This variation of Jeopardy works well with small groups or small classes. Each number represents a topic. 1 = music, 2 = movies, 3 = free time, 4 = work, 5 = transport etc. Once the cards are laid out on the table you need to choose a host or MC. The teacher can be the game show host if you have a small class, or if you are playing in small groups, ask the students to randomly select one student to be the host. The host/MC is given a list of questions with the correct answer. I would like free time for 100, please. I would like the nine of clubs, please. I would like green 9, please. Variation: Keep the topic secret, so that the students are surprised by the questions. This way they only need to ask for the cards. This lucky dip variation can be useful as it can prevent student favoring certain topics or taking a long time to choose their question. The game show host or MC chooses a Choose a player/team at random and asks them to choose the first question. I would like red 5, please. The host/MC/teacher asks the question to the group/class. The question is open so any player can choose to answer. If a player answers correctly, they pick up the card and keep it. If a player answers incorrectly, leave the question open until one of the players guess the answer correctly. Ask the students to count the points they have from the cards they have won. The student with the most points is the winner. Thanks for making it through this post. These were all my thoughts and ideas about playing Jeopardy in the classroom. If you have any ideas that you would like to share please leave a comment. The original Jeopardy post from last year, which has some information about the slide master view. 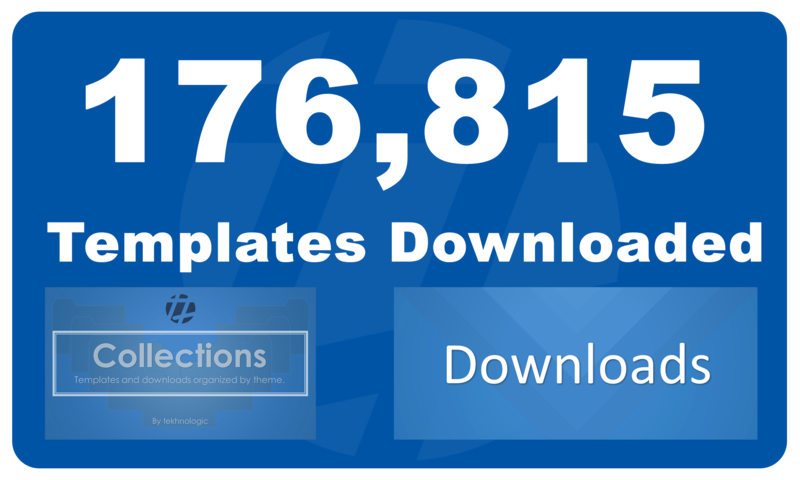 Visit the downloads page for more templates from tekhnologic. Many thanks to Owen Kozlowski for his ideas and feedback. Thais is an excellent resource. Planning to use Jeopardy as an ice breaker nostalgia exercise at a 45 yr Nursing reunion.